Beautiful girls coat with hood or collar. Fully lined and with many unmissable methods. Sewing pattern for age 1-12. 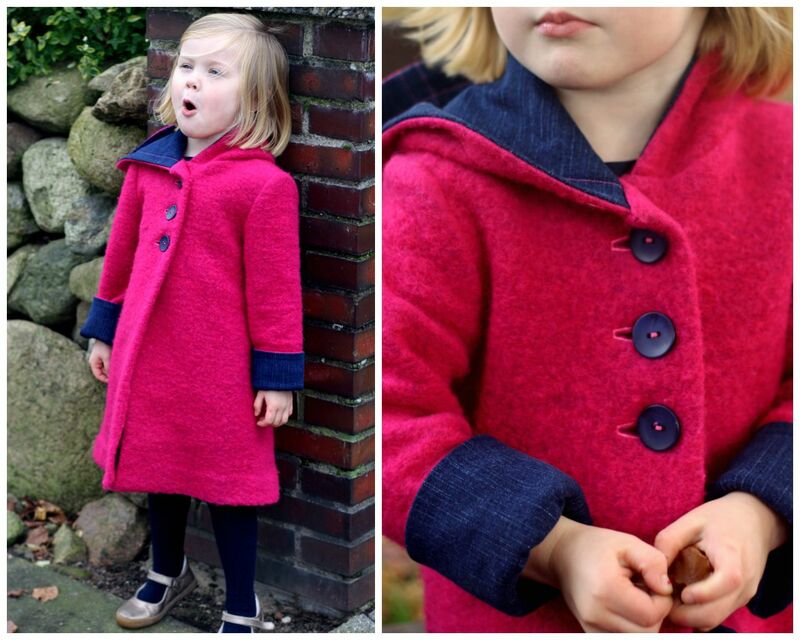 The Pea coat is such a beautiful gift to make for family friends and your own kids. It is fitted with a slight A-line and comes with either a hood or collar. It can be a warm winter overcoat just as much as a light jacket. You will love how many ways the coat can be made. For a beginner it is a great start into jacket-land. You can make it with easy side pockets or advanced skills welt pockets. A learning curve for those that want to learn more and challenge themselves. The pattern in US letter size and DIN A4. E-books in both US letter size and DIN A4. A video course for every step. Just check out the content below. Includes German language patterns, E-book and video.